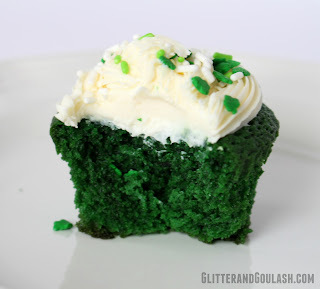 St. Patrick’s Day is coming up and that is a perfect time to bake a delicious batch of Green Velvet Cupcakes. 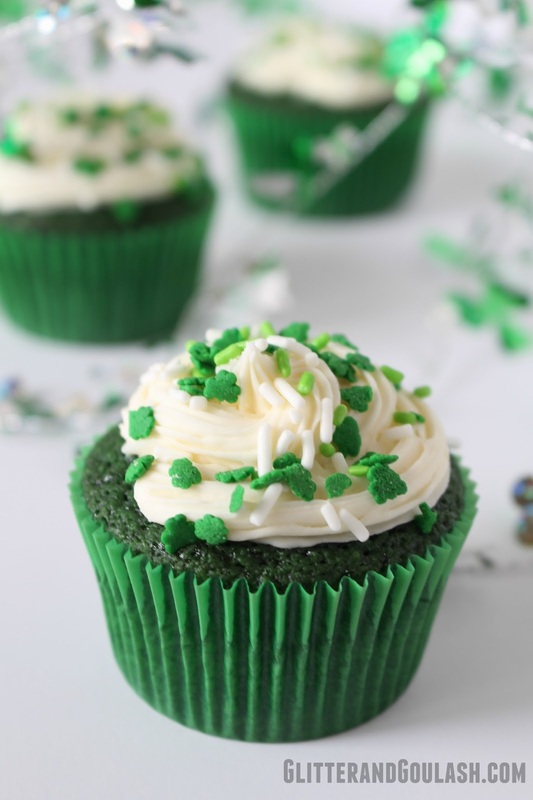 These delicious, moist little cupcakes will make everyone feel like they found a pot of gold when they bite into them. 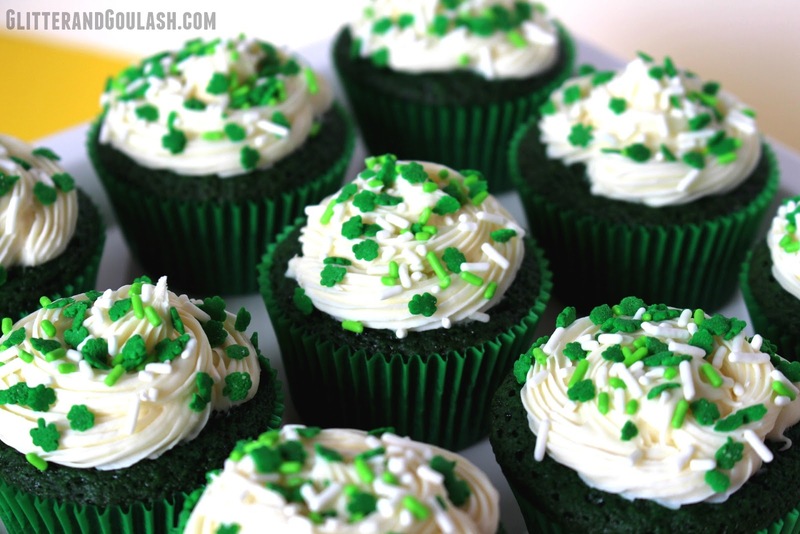 These cupcakes were made from the left over Green Velvet Cake batter that I had when I made a batch of Leprechaun Cake Pops. You can see that post for the original cake batter recipe. First place cupcake liners in your cupcake pan. 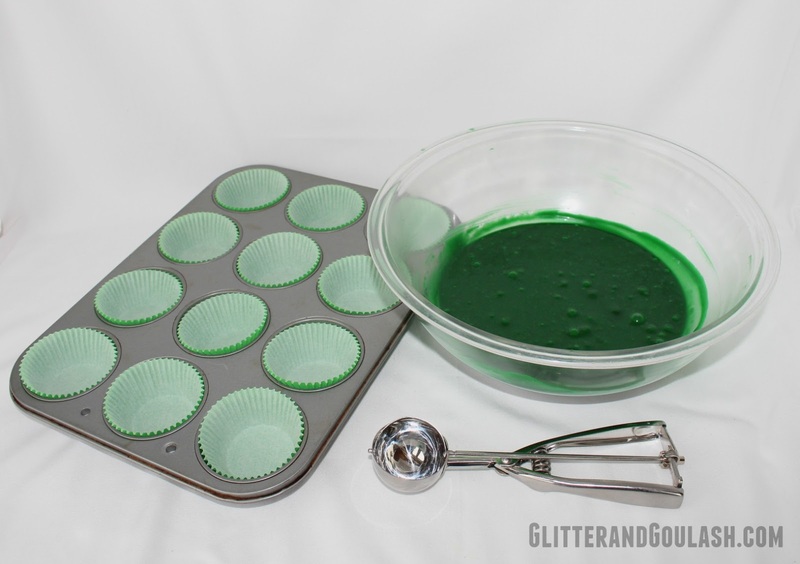 Or grease the inside of cupcake pan if you are not using liners. 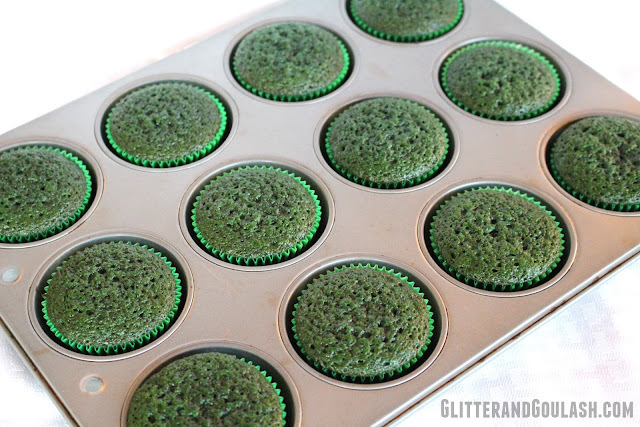 Today, I will be using green liners to match the St. Patrick’s Day theme that I am going for. I like to use an ice cream scoop to fill my cupcake liners. Using an ice cream scoop will ensure that the same amount of batter goes into each liner. Bake cupcakes for 15-20 minutes in a 350 degree oven. 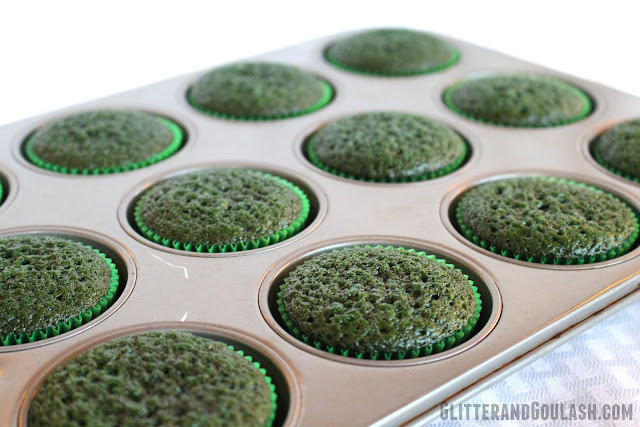 Make sure toothpick comes out clean when inserted in the middle of a cupcake to ensure doneness. 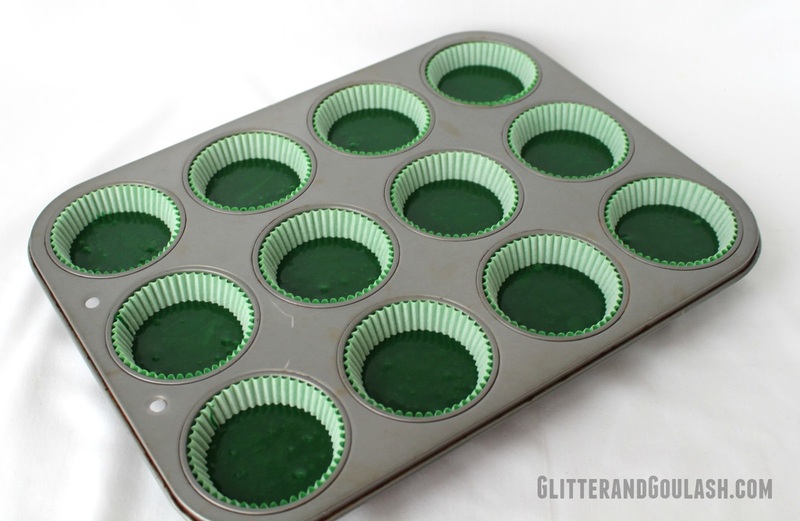 Once baked, you will have cupcakes that are a nice uniform height. This will make the final presentation much nicer when they are all similar in size and height. Remove from pan onto a cooling rack. Once cooled completely, proceed with frosting. Apply a Cream Cheese Frosting to the cupcake and whatever sprinkles you wish to use. You can use a store bought frosting, or one from scratch. I used a store bought one here because I had some left over from the Leprechaun Cake Pops in a previous post. 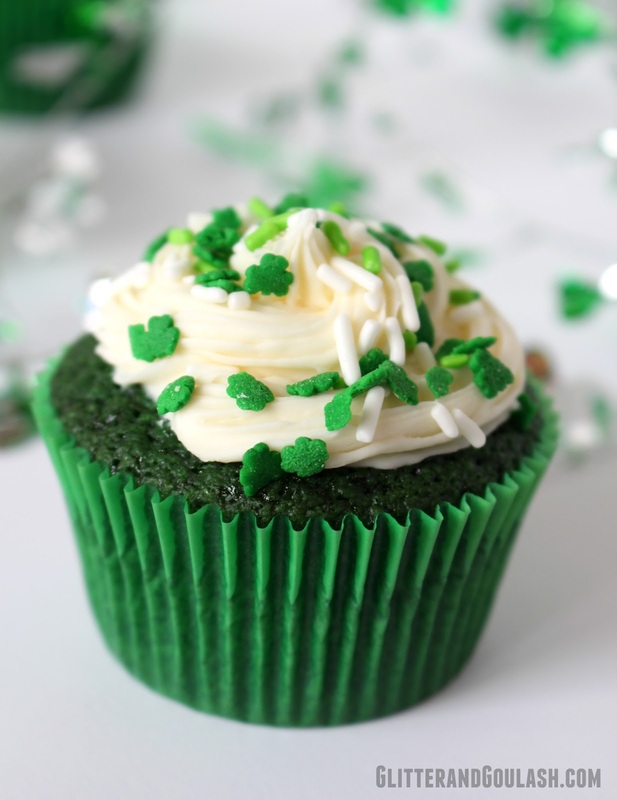 There you have it, a delicious and festive treat to celebrate St. Patrick’s Day with.